Do you want new activities that you and your horse will love! This eBook contains easy step-by-step instructions and videos that will help you to create a very special bond with your horse. Absolutely anyone can do them and they only take a few minutes a day. Begin today. Just pick your favorite activity from the eBook and try it out. We guarantee it will make you and your horse very happy! "Activities that will help you create a very special bond with your horse." 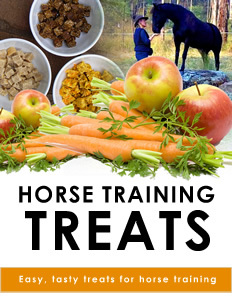 This eBook has recipes and ideas for yummy horse treats that your horse will love! There are ideas for super simple treats or more gourmet ones (if you like to bake). We've even included some training on how to teach your horse to have perfect food manners. Each week we will email you a 5-10 page mini eBook with a new activity. 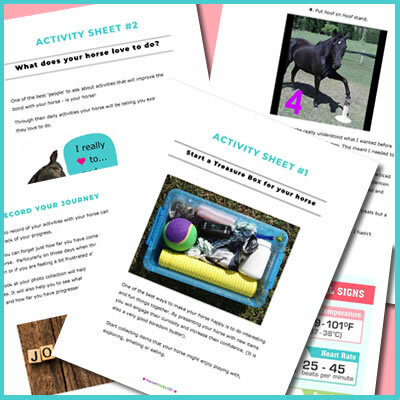 These Weekly Sheets contain even more ideas for new, interesting and different activities that you can do with your horse. They include step-by-step instructions, links to videos and printables. 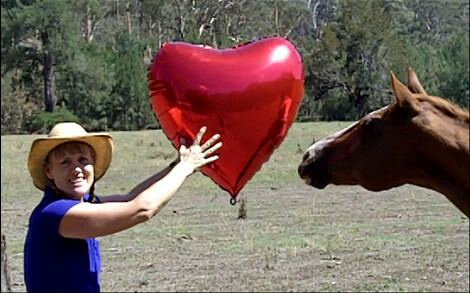 Imagine receiving a new horse activity every week that will help you create a very special bond with your horse! How long will it take to get the eBook? Immediately. After purchase you will be redirected to a page where you can download the eBook. You will also be sent a link to the email address you provide. You don’t need any new fancy equipment or gadgets. All these simple ideas use items you would already have. You can also practice most of these activities in your horse’s paddock, yard or stable. You don’t need a special area for this training. What are the authors qualifications? Do the activities take a long time? Some of them only take a few minutes. You can easily include them in the time you already spend with your horse. Do the activities involve riding? They are all done from the ground. However, you will find that if you do ride that these activities will also help your horse to be calmer, more confident and focused when you are in the saddle. Is my horse too young / too old to do these activities? These activities are suitable for all ages. You can do them with foals or senior horses. They are also suitable for donkeys, ponies, and minis of all ages. Does this eBook come in hard copy? We decided not to produce a hard copy for several reasons. There are lots of links to online training videos and activities so it works much better as an eBook. We also wanted to reach people in many parts of the world at a price they found affordable. To produce a hard copy and send it out would make the book very expensive and it would take weeks to reach some people. Some folks save the eBook and Activity Sheets to their computer and then print out the ones they want to work on. They can then write notes and ideas on them. Others are happy just to read them on their mobile phone or tablet and find it handy because they can then take all the information and videos with them when they visit their horse. What type of activities are in the weekly Activity Sheets? *How to make a Treasure Box for your horse. *Mirroring your horse’s body language. *How to teach your horse a simple trick. *Things you should know about your horse’s health. *Beautiful ways to record your journey with your horse. 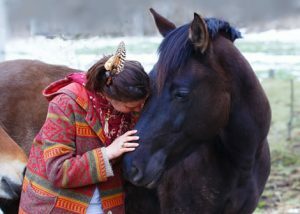 *Creating calmness in your horse (and you). *How to make it easier for your horse to learn new tasks. *Recipes for super tasty horse treats. *Simple ways to just hang out with your horse. *How to discover special activities that your horse loves to do. What type of devices can I read the eBooks on? Why is the eBook sold in US dollars? For a limited time we are offering both eBooks and all the Activity Sheets for a very special price of just $12 (the regular price is $47). Why? Because… We are just putting the finishing touches on the website and doing the final tweaks to everything. Once we have completed these things we will be popping the price up to $47 for all of this. Is it just ONE payment of $12 for everything? * All the Activity Sheets. There is nothing else to pay. 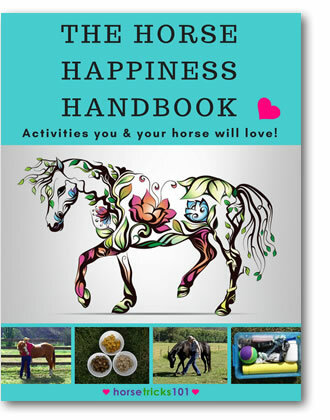 Try out the activities in the Horse Happiness Handbook and the Weekly Activity Sheets and if you don’t feel totally happy about your purchase, just email me within 60 days and I will refund your money immediately. No questions asked.